Go straight ahead over the bridge next to Duff, avoid the red targeting circles as you go past a couple of buildings and meet some Cyclops Sleetthrowers. These are the type of enemy that throws a single projectile (a snowball) into the air which comes down at the red circle marked on the floor. The only thing different to these ones is that you get a bit frozen and slow down if you get hit. After taking out the three of them go up the slope behind to get to another Sleetthrower as well as a Coldspear at the top. If you carry on ahead instead up going through the monster gate up to the left you'll find [Story Scroll] behind some crates on the left side of the path as you go up towards a Spin Swap Zone. It's very much back to basics in here, no mines, no wind, no nothing. Just the regular obstacles and spinning. The reward for smashing the Kaos Statue is [Bonus Mission Map 1/1 - Ghost Traps]. Go back along the path to the monster gate and head left over the bridge towards another monster gate. Another new enemy, a Twistpick Cyclops. And it's a spinning enemy that you have to avoid while it's spinning, you'll also see a red arrow pointing from it towards you, that's the direction it's about to quickly move in whilst still spinning. It'll do that a couple of times before collapsing to take a break. Once he's gone another two will join and then after them another one and two Coldspears before the gate opens up. Before going through it instead smash through the crates on the left side and go up the steps behind them. At the top on the left side beneath some more crates is [Lost Mittens 1/4], it's just to the left of a Fire Gate. Turn the wheel to bring up a series of floating platforms, they'll quickly vanish again so start jumping across. While you're doing that look for the three keys floating in the air, there's one towards the front, towards the back on the right and then one at the back on the left. While you will lose the keys if you fall down you can instead make your way to the gate with only one or two of them and unlock as many of the locks as you've got keys before trying to get the other keys, the locks won't relock if you fall. Opening the gate will get you [Legendary Treasure 1/2 - Expensive Souvenir]. Go back down and through the monster gate to where Duff is waiting for you. Go over to one of the catapults and get ready to play a little mini-game. Pull back on the catapult and let the snowball go at about half power, too much and it'll go right over the Blizzard Baller, too little and it'll fall short. Keep doing the same power shots until it moves backwards, you'll then need to pull even further to hit it. Don't go onto the rainbow rails just yet. On the left side of the area by the stables is a weird looking animal, a Snowroller, that you can jump on and bounce onto the roof. At the far end of the roof is [Treasure Chest 1/4]. Now you can go to the rainbow rails, it's that purple glowing light at the far end of the area. It's a rail grinding segment, for the first part it's simple, just let yourself grind until you get past a series of snowmen, one of whom will join you, the rails will then split into three with mines in the way. Move left and right to avoid them until you get near another of those Blizzard Ballers, press the attack button to fire the snowman at the Blizzard Baller three times. After landing head into the house on the left. Talk to the Guardian of the Snowshovel and then pull the shovel out of the ice, head outside and start digging through the snow piles. The key's in the middle one on the right but you'll also want to dig through the left side to get to a path behind them. It leads to a Speed Swap Zone. On the upwards ramp sections you'll be faced with frozen mines rolling at you, you've got to quickly move out of the way pretty much as soon as you see them in the distance and to make sure not to go boosting into them. The reward for reaching the end is [Hat 1/2 - Crown of Frost]. On the left of the Swap Zone is a door to go into. And in the middle of the room is a Spark Lock, "Choose Your Path". As long as you follow where the arrows are pointing you should be able to work out exactly where you'll end up. With Shock take the left side down and it'll take you to the blue lightning bolt. Now go left off the centre to get down to the bottom and then right along to the very centre. Now with Bolt take the right side to get to the green lightning bolt and then right off the middle before going to the very centre and meeting up with Shock. That's [Treasure Chest 2/4]. Go back up to the area where you were digging and pick up the key (from the piles on the right) to open the gate and head up the steps. At the top is a pair of Evilized Snowrollers. These roll towards you and bash into a wall to knock themselves out, when they do that they fire out a projectile aimed at you so move out of the way of that. Attack them while they're stunned. They'll get up after a while knocking you back if you're next to them (no damage though) and then start rolling again. Once both and freed go through the monster gate that opens. Go down to the right past a giant block of ice to a Teleport Swap Zone. There's some permanent gaps in the layouts of the sections and you'll find yourself having to quickly cross over burners more often to get to the Magic Runes. Once you get all nine you get [Legendary Treasure 2/2 - Elven Arrow]. There are some horns down here that you can blow to get a few coins. Go back up the slope and push the block on the left away to let the light beam melt the ice. Then push it back into place and to the left so you can use it to get up to the building. A little oddly empty but there's a [Treasure Chest 3/4] over on the right. Go back outside. Now turn the wheel four times to rotate the light beam and melt the ice block on the right, that'll free a key which you can use to unlock the gate here. Go up the slope and attack the enemies at the top before going left to an Undead Gate. The task in here is to use the shovel and dig up the five Snowrollers that have been buried in the snow. The first one is at the start next to the Frost Elf. Now jump onto the platform moving past on the left side to get across to another platform, at the top is a pile of snow with the second Snowroller in. Jump to the platforms floating past up here on the right to get to the platform with a bridge ahead. The third one is at the back there behind another pile of snow. From where you jumped on go to the right across two moving platforms, dig out the back pile to get the fourth Snowroller. Now jump down to the right and on the right side of that platform is the fifth and final Snowroller. Once you free it you get given a [Winged Sapphire]. Ignore the pile of snow out here for the moment, you'll get a shovel for it in a bit (and no not the one from the Undead zone), go up the stepped platforms to the right to get a look at the furnace. At the top turn the wheel twice to melt the ice covering a shovel, pick it up and head back down the steps to clear the snow below, there's a Snowroller bounce pad underneath it which will let you grab [Lost Mittens 2/4] in the air above. Go back up and turn the wheel another three times to melt the other ice block. Now push the stone block left and then down to where the ice block was, use it to jump up to the top of the platform and dig out a key. Clear the snow off the lock below and then use the key to open it. If you want to use the Seeker Scope go up the right path and dig up the snow blocking it, the treasure is in the Geargolem in the middle of the icy furnace. Down the slope to the left is a new set of Chompies, called Chompy Blitzbloom, as the running shoes imply they move and attack really quite fast so should be attacked as quickly as possible. More will rapidly spawn in so keep on attacking until the monster gate opens. Up the slope and into another Chompy fight, this time backed up by a couple of Sleetthrowers on platforms at the back. Kill them all and advance up the slope behind them. Push the block to the left and then use it to jump up the left side of the area, pushing the light crystal off the edge at the top. Instead of jumping down to where you just pushed it instead go through the gap in the railing at the back up here, you'll drop down the back next to a wheel, turn it and then go up the platforms it creates to reach [Soul Gem 1/2 - Stink Bomb]. Now you can jump straight down onto the platform you freed from the ice and onto the start of the next rainbow rail section. Loads of stationary rocks to jump over or dodge around all the way to the end of the rails. An Ice Geargolem. These fire out three icicles in a small arc in front of them, they'll pause briefly to fire them but otherwise they'll just take a second or two before they fire another burst towards you. So dodge out of the way and start attacking. After a little you'll also be attacked by some of those fast Chompies so take them out and then focus back on the Geargolem. Once the Geargolem is defeated start jumping up and down on the red circle of the bellows to stoke the furnace again and melt the ice. Pick up the Seeker Scope treasure and head right out of the furnace room to Duff. Checkpoint! Go past the Power Pod and interact with the two Snowmen standing by the sides, continue down the path to the catapult at the bottom and start firing at the Blizzard Baller as it circles around. With it destroyed pick up the key that's appeared and go open the gate next to the Power Pod. Defeat the two Twistpicks and the Geargolem before going to the right and picking up [Lost Mittens 3/4]. On the left side is a Dual Air and Life Gate. This section is just all jumping to the right between balloons, bounce pads and bouncy mushrooms. At the end is [Hat 2/2 - Ski Cap] as well as a mushroom teleporter that's really too close. Go straight on past a Giant chest towards the enemies, kill the Geargolem and his Coldspear pal, then a little further to take out the Sleetthrower by Duff. That'll open up a nearby boat to go onto, take out the three Twistpicks and then interact with the two Snowmen to get them to head back towards the catapult. In the Wii version you can find the extra [Lost Mittens 4/5] at the back of the boat. Go over to the catapult and shoot down the two Blizzard Ballers (though stangely it only counts as one for the objective). Pick up the key and unlock the gate up to the left. Push the block to the right to let the light beam melt the first ice block. Next push the block down so that it's in the bottom right corner and then push the light beam against it so that it melts the second ice block. Push the block up and then left before pushing the light beam to the right to melt the last of the ice. 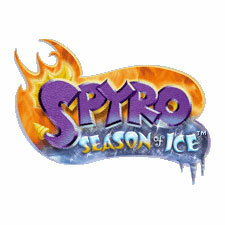 Jump up the platforms to get to a fight with an Evilized Snowroller and two Sleetthrowers. Get rid of them as well as the Chompies, Coldspears and Twistpick that appear before the monster gate opens. First push the light crystal left, then push both blocks against the far side and then one of them into the middle of the back. Now you can push the light crystal onto the turntable in the very middle. Turn the wheel twice to melt the ice on the right and free one Snowman. At the right end of the section you open up are some platforms moving around, jump over to them and make your way right to [Soul Gem 2/2 - Rubble Rouser]. Turn the wheel three times to free the second Snowman but then turn it again to melt another block and then again to melt one more. Go up the ramp behind where the ice was to get [Lost Mittens 4/4] (Wii 5/5). There are some steps here too that lead up to a building. Talk with the Frost Elf to learn what to do. You've got to create six different colours through the bellows. First jump on the left one to light the red lamp. Jump on it again to switch off the flame. Hit the middle one for yellow, again switch it off. Then the right one for blue. Keep that on and hit the middle yellow bellows to have blue+yellow make green. Switch off the yellow and hit the left one for blue+red make purple. Now hit the yellow one again to turn it on before turning off the blue one and you've got red+yellow make orange. With all six colours lit [Treasure Chest 4/4] will appear next to the Frost Elf. Leave the building and go use the catapult to take down the three Blizzard Ballers that are flying about, for the far one you've got to aim where it will be when the snowball gets to it rather than where it currently is. Once that's done jump on the last rainbow rail. You'll eventually circle the Illuminator platform where you can see several enemies, fire the Snowmen at them as you pass by and you'll drop off the rail once they're all gone. After dropping off the rail go up the slope to the central area. This fight sees you battle each door of enemies one at a time. The first door just has a couple of Coldspears and a Twistpick in it. The second has a load of Chompies and an Evilized Snowroller to defeat. Third has the same as the first but with an added Sleetthrower and the final door is about the same but with an Ice Geargolem. Just one thing to do before speaking with Sharpfin, behind him at the Airdocks is now a present, you'll find [Bonus Mission Map - Sweet Blizzard] inside it. In the Wii version this appears after Chapter 13. Talk to Sharpfin to go to the Frostfest Mountains. The extra mitten on the Wii version is at the back of the boat with the two snowmen. Has anyone else had trouble with the shovels not working on any difficulty higher than easy? I have the skylanders for the wii and it has five lost mittens. Where is the fifth one? Can't find it?